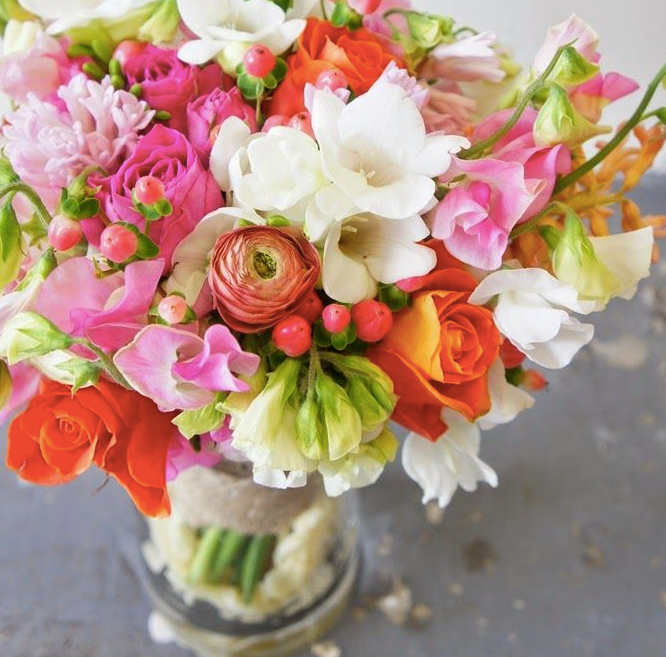 Fresh flowers can brighten up a room and heighten the mood in an instant. I’m no expert when it comes to flowers, I can barely tell the different types of flowers apart! 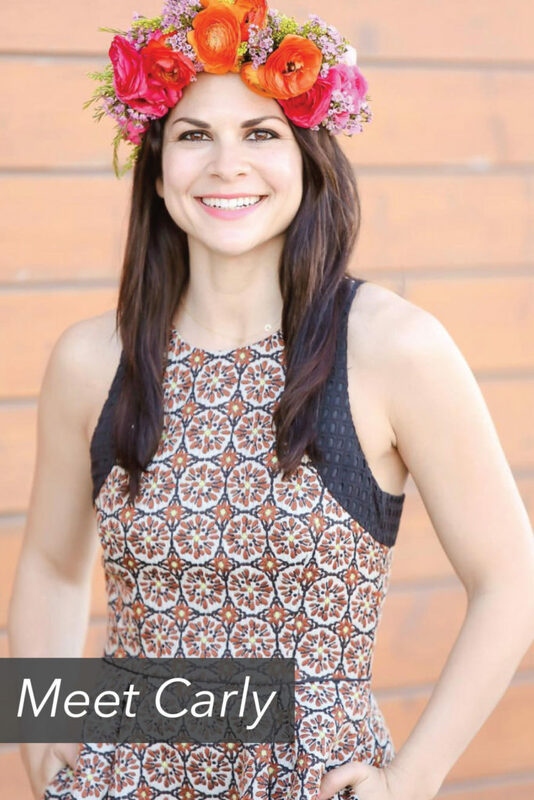 Meeting Carly Cylinder, the owner of Flour LA, all started when I had the urge to learn more about flower crowns. I wanted to learn how to create flowers crowns so I could in turn host my own brunch and flower crown making party. I haven’t yet planned the party but I did learn quite a bit in Carly’s workshop at Brooklyn Brainery! Not only was the class fun it was also easy to follow. 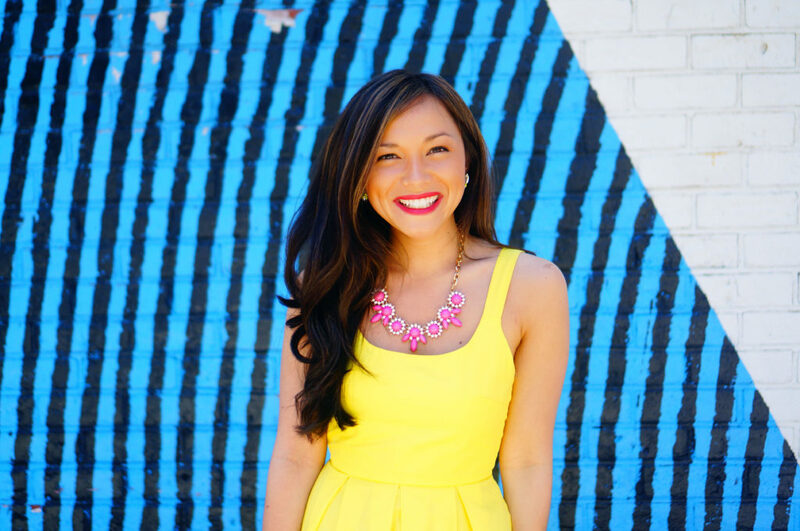 I chatted with Carly after the class to learn more about her path to opening Flour LA. Plus I had to pick her brain for tips on how to brighten up a party with the perfect arrangements! Originally, you wanted to create a storefront of food and flowers, how did that idea come to mind? I had worked at a restaurant/florist called Rita Flora while I was in college off of La Brea. I wanted to work as a waitress since I loved food, but the manager saw I had worked previously as a sales girl at another florist so they put me in that section. Sometimes it would be just me with the flowers, having the music on, and it felt so peaceful and fun to work in that environment and help customers. I originally wanted to start a food business, but after working there, I aspired to open something similar. However, that was during the recession, and I started doing flowers out of my apartment– one thing led to another, and I still am doing just flowers! You graduated from UCLA with a degree in Psychology. Has that played any part in your current work? If you were to go back in time, would you study something different or do you think the experience and what you’ve learned contributes to where you are now? That’s a good question. I think having a general understanding of people’s motives and projections are essential in any kind of business or relationship, so that’s helped. Starting a company is very stressful, especially financially, so I wish I would’ve known about meditation back then! It’s more important to be calm with yourself and also very important to not take things personally. People are so busy in their own lives and may not even be thinking of you or your business at all, but we create these false narratives out of neuroticism! The last class I took at UCLA was Business Law just for fun. That was the most helpful class because it allowed me to understand terminology in contracts. I have even filed two trademarks myself. I would’ve probably studied business had I known that’s what I would be doing. 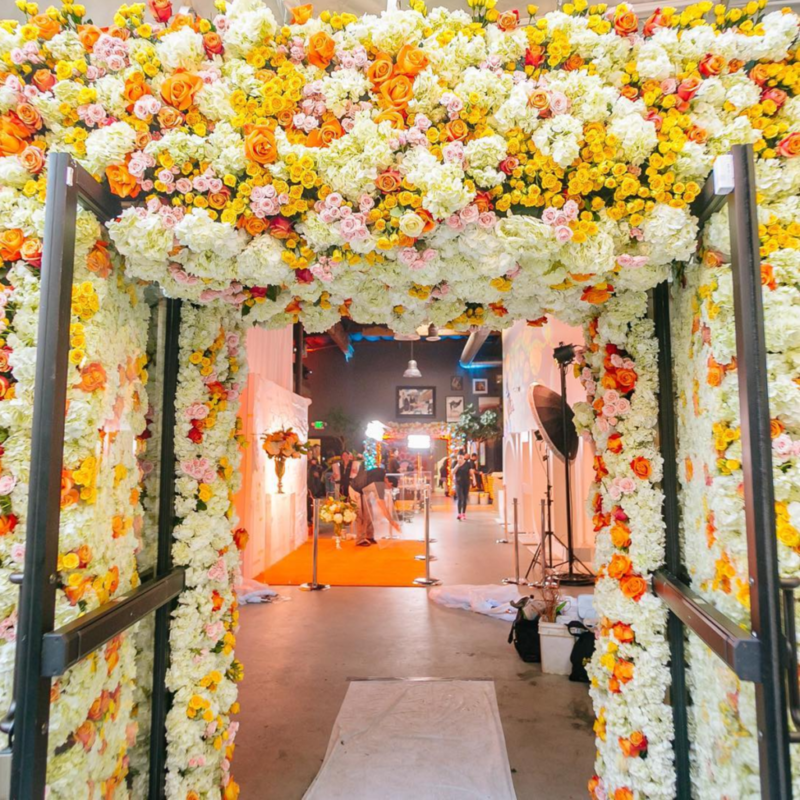 How did you gain experience in the floral industry? Is there anyone in the space that you look up to or get inspiration from? I started out doing flowers in my home, and didn’t really aspire to be a designer. Of course, if I didn’t have a natural inclination or talent towards designing my business would’ve failed. I never really pay much attention to anyone else or competitors, but just focus on what I want to do. My business model has changed nearly every year based on trends and the economy, so I just steer the direction towards that. 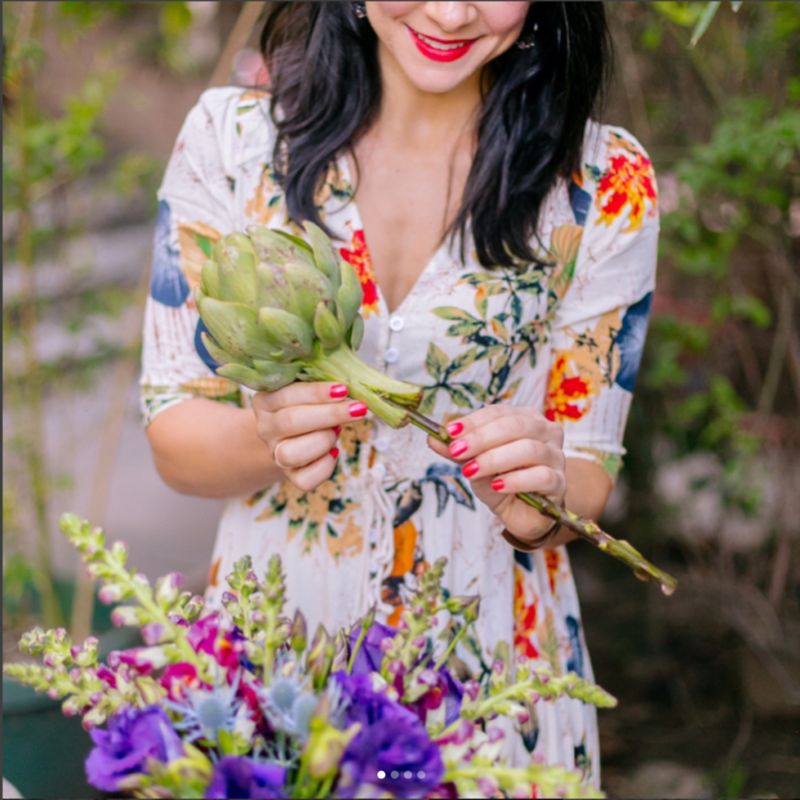 I taught myself (which is why I wrote The Flower Chef), and then a few years later when I lived in NYC, I freelanced at David Stark Design, where I learned a lot more technical skills. 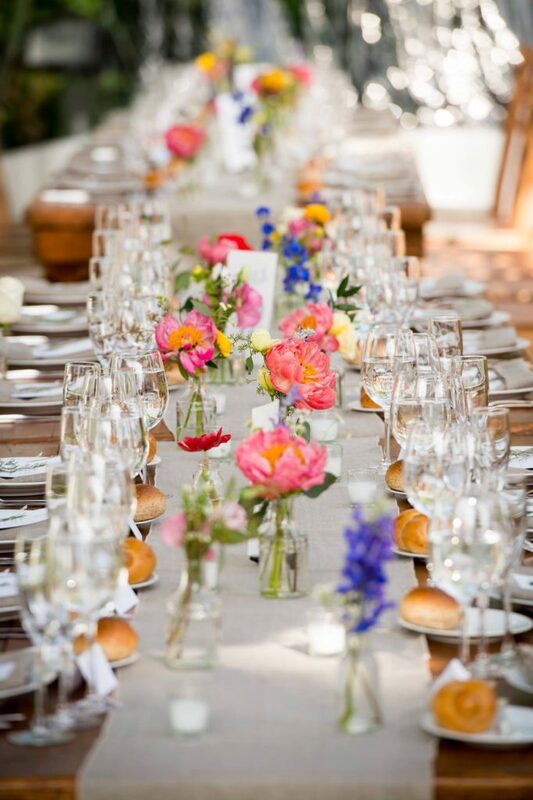 What has been your favorite event to design flowers for so far? That’s a hard one! I would have to look through all of my photos that I’ve probably forgotten about. Some that come to mind are for the Super Bowl, Swarovski (I matched the flowers to the necklaces), and all of the Snapchat events I do (those are not public photos I can share). Do you have a favorite type of flower and why? My personal favorite are sweet peas because they’re just pretty. Simple as that! With each season I have different flowers I like to work with, namely, dahlias, ranunculus, and garden roses. 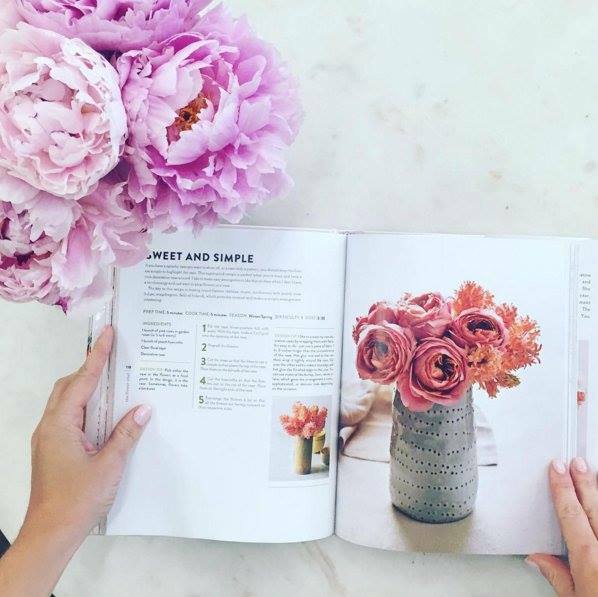 If someone was looking to get into the floral business, what would be your top advice for them? To read my book! Ha, kidding sort of:) They should read my book to learn the most basic design skills and have a good understanding of fundamentals. I’d then tell them to freelance, taking any position, such as prepping flowers. Are there any resources or websites you visit regularly for inspiration? I’m more inspired by art and fashion than flowers. I like to watch documentaries and see artists in every medium work. I only am on Pinterest when I’m making boards for my clients’ events. You can see some of those on my Pinterest (theflowerchef). 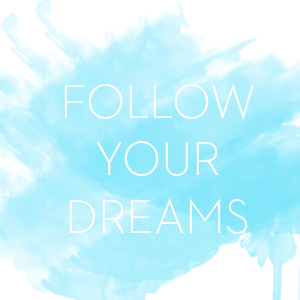 What was it like writing your first book and how did that opportunity come about? It was really nervewracking! I wrote about 500 pages and the editor was like, what is all of this?! I had no idea they didn’t actually edit the book fully. So I ended up having a freelance editor rewrite almost all of it. She flew to LA and went with me to the mart and I showed her all of the products, and taught a class so that she could see me in action. It’s hard to verbalize something that you show visually. I worked very, very hard to get that book published. I hustled for 5 years and did the slow route. I submitted my query letters to many, many agents. It took 9 months for my now agent to respond. It then took 3 years of building up my work for her to take it to the publishers. It sold in 2013 and wasn’t published until 2016, so that’s how long these things take. Really crazy! What was the most challenging part of writing? Hands down the deadline. I wrote 100 recipes, and wrote it everywhere. I’m lucky enough to have a business where I don’t physically have to be there or create the arrangements since I have designers that do that. I would write every night while watching some shows on TLC. It was very hard to come up with diverse designs that each taught something. I wish I put more organic styles in, but that wasn’t my style, nor as popular as it is now. I was very lucky to have a former Martha Stewart editor be the stylist, and have an amazing photographer. What do you look for in a person when you’re hiring someone new for your team? Another great question! I want someone that has done their research on what I do, and is very professional in correspondence. I also look for someone who has persistence. Once I hire them, I look for loyalty and a go-get ’em attitude where I don’t have to micromanage. A person should always ask what else can they do, etc. If you’re doing the flowers yourself, I would say do them the day before. 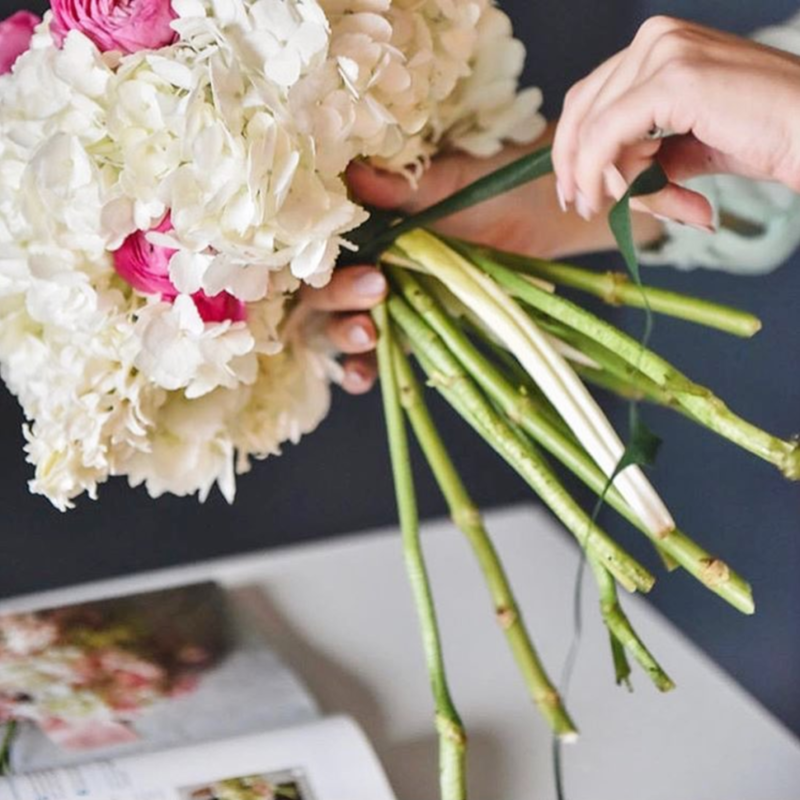 Flowers take a long time to arrange with all the prep and especially if you’re doing it for fun and are having a leisurely time. You don’t want to feel rushed or that pressure. Also, I use Crowning Glory which is a preservative that will make your flowers look fresh for a long time. As far as designing, if you want to get better, try to replicate others designs, however always experiment and create your own style. If you are the NYC area then I would definitely recommend signing up for one of her workshops at Brooklyn Brainery. They book at quickly but new classes always get added to the schedule so check back often! 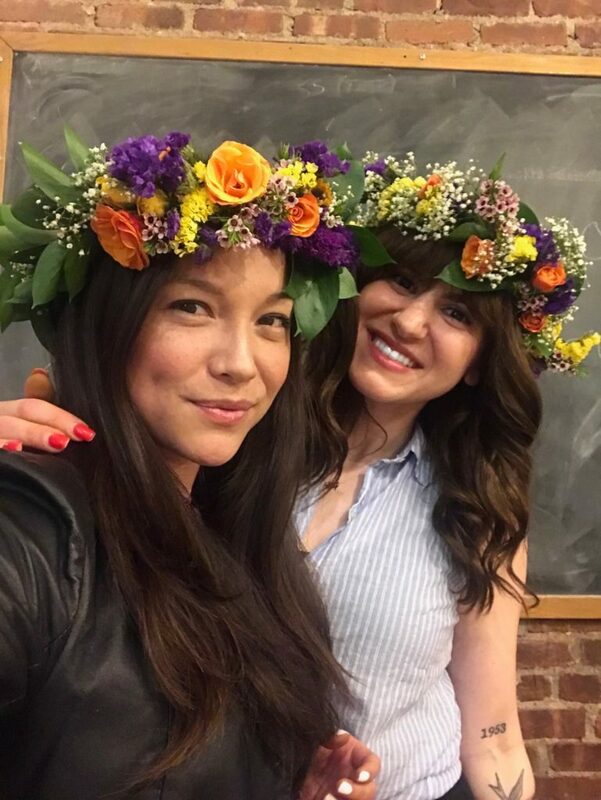 As you can see from the photo below, my best friend Ashley and I not only had a blast at Carly’s flower crown workshop we also walked away with beautiful crowns and the knowledge to recreate them at home!